So in this part, we’ll first complete the challenges from the first one, then look at including support for LED controllers, for MAME autoconfiguration and some minor animation / transition. 1. Add a background image, and make it so that the cursor blends better with the text. Save this image, store it in the gridle theme folder. Note here that everytime you request a resource (be it an image, or a movie or something) the themepath is checked first, and if there is no match, the resourcepath will be tried (comp. science nerds, give a shout-out to ‘two-tiered hierarchical namespacing!’). Two problems, now the “replacement text” is barely visible, and the cursor is hidden. (there are a lot more formatting codes to the render_text function, including multiple fonts / colours per line, bold, italic and tabs). Now the text is dark blue, which has a high contrast to a light background. Now we need to do something about the cursor, one thing to play around with would be drawing the border to an image, with a hollowed out (transparent) middle section, make one dark version and a light version, load both, set one as the cursor and add the other as a frame to that cursor (image_framesetsize to 2, set_image_as_frame and then image_active frame in the clock_pulse function) to make it flash. Now, all the images suddenly look very dim and blends into the background. some explaining, note that in the blend_image function, there’s a new argument added. for all image transforms (expire, blend, rotate, scale, move) you can add a timed delay which will animate the vid in question. These can be mixed and chained together. So the blend_image here will actually fade over the course of (dt) clock pulses. The instant_image_transform will forcefully stop all animations, so that we know we won’t add an animation to another (useful here to stop a dragging fade effect if the user would switch back and forth between the same two items very rapidly). There, now the slot which is currently selected will be fully opaque while the rest will be faded. This one is really easy, the difficult part is rather finding sound-effects you like, want and (for redistribution) got the rights to. For testing, just grab something of say, and copy to your gridle theme folder under the name click.wav. This function increases or decreases cell size until we find cell dimensions that would require a higher or lower cell density on the grid. 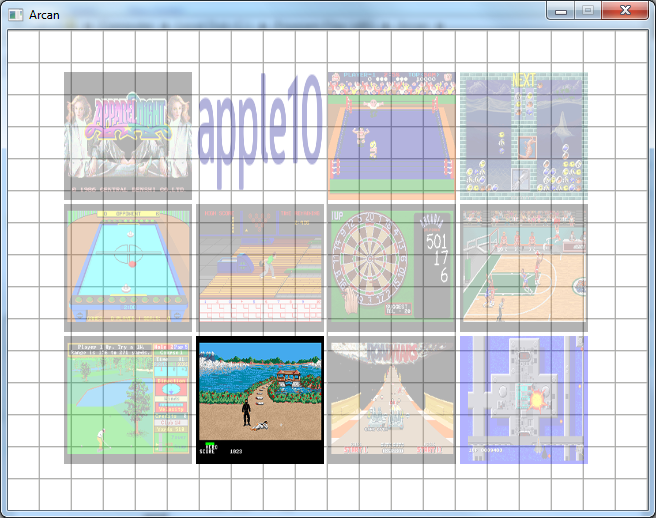 Then we calculate what game is currently selected, figures out which page and position this will have in the new grid, finally deletes the old grid and build a new. The last challenge presented, the marquee/flier is either trivial (just change folder name on a failed resource) or requires a bit more of the theme (which will be on the list for next time). Instead, we’ll add delayed video playback. Delayed meaning that we will wait a set number of clock pulses before trying to replace the current vid with a movie_playback version. Note that the frameserver supports many more video formats (since it’s ffmpeg that is responsible for the decoding), but the current resource() API doesn’t allow wildcard matching, that will be fixed in the next release, same goes for another few safe-guard checks that aren’t possible at the moment. What this code does is that if there already is a movie playing, we gently kill it while fading out its audiostream (less harsh on the ears). We then look for a new movie, if found, we load it and set a timer in which we want it to start playing back. We also place it ontop of the snapshot and size it accordingly. Note that the hide_image call is a work-around for a bug where movies (unlike images) start visible when loaded. Finally, we need the timer to start the playback as well. When the timer runs out, we remove it, fade in the audio and start movie playback. Left for this guide is LED/Mame config and some minor animation tweaks. There is a ledconf script that works very similar to the keyconf, but now we need to specify a few more labels for it to be useful. The forcekeyconf tells the script to delete and override any preexisting config file. If we don’t have any players set (default 0) we won’t get any useful labels to map to LEDs. In the top of the gridle function, add two system load commands after the system_load keyconf line. Make sure that folder exists (we havn’t created it before) or else you won’t get a default.cfg stored. Thereafter, it repeats the process from ledconfig, which reuses the labels that come from keyconfig to assign LEDs to each label. If no usable LED controller is found, it simply returns. the ledname command is analog to keyname, the ledlabels is a comma-separated list of labels to configure, these are in addition to the ones passed on from keyconf. This will create a new empty white cell, link it to the corresponding screenshot at the same cell location and place it beneath this, then mask so the linked image won’t inherit blending, or orientation. This vid will be automatically freed when its parent expires. There, now the background is animated. 1. Add some fades and transitions to erase_grid (like the ones in the video) and switch each time erase is called. 2. 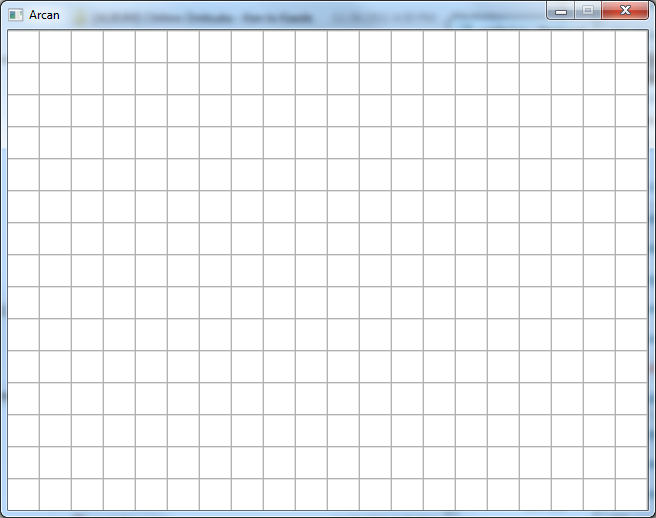 Figure out a way to switch between a list-view (dishwater theme) and the grid. 3. Add a “zoom” button that will enhance the currently playing video so that an enlarged version is shown in some area of the screen that doesn’t occlude the part where the cursor is. 5. Add a new button and feature for randomly selecting a game, bonus points if it looks like it is quickly scanning through pages hunting for the random game rather than going there directly.